For the discovery of the physics phenomenon of nuclear magnetic resonance (NMR), Felix Bloch and Edward Purcell were awarded the Nobel Prize in Physics in 1952. 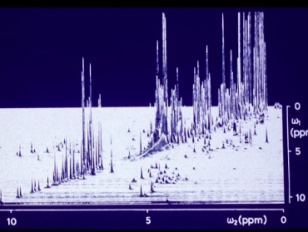 NMR has then been used in a wide range of fundamental studies in physics, and in the 1960s it also became an important analytical tool in chemistry. Based on novel concepts and advances in NMR instrumentation and informatics tools, exciting developments in the early 1970s laid the foundations for magnetic resonance imaging (MRI), which is today a key technique in medical diagnosis, and for the use of NMR spectroscopy in modern structural biology.